ACTUARIS : Who are we ? 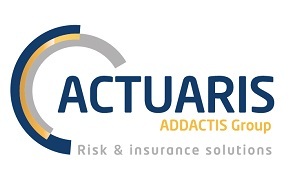 At ACTUARIS, we provide our insurance and banking clients global expertise throughout the whole value chain of their businesses, thanks to our unique combination of consulting and software design. With our team of 200 actuaries and consultants, we offer one of the widest range of services available on the market and we stand among the best designers of actuarial software in Europe. Our expert services and software packages specialised in the insurance and finance sectors are a result of our in-depth market insight and of our international development strategy. We have been expanding through our brand ADDACTIS® Worldwide, with numerous subsidiaries and partnerships, clients in over 45 countries and around 2,000 users of our software. At ACTUARIS, we believe both in exclusive service and in extremely high IT standards which are constantly updated. Our brand-name is well-known to the best performing insurance and financial institutions as we face today’s economic reality such as value optimisation, risk management, solvency, corporate governance, mergers and acquisitions. So as to help our clients reach their objectives in an increasingly complex and competitive world, we have consultants who are experts in sectors such as property and casualty insurance, health insurance, life insurance or cross-sector projects cover. We systematically share our expertise with our clients, working in close partnership, and having an acute awareness of their needs. To meet the new challenges in society and help our clients become fully involved in their healthcare, Malakoff Médéric delivers real innovation with a comprehensive and responsible approach to benefits. Reinsurance Group of America, Incorporated (RGA) is a global leader in the life reinsurance industry, with approximately $3 trillion of life reinsurance in force. From its world headquarters in St. Louis, Missouri, U.S.A. and operations in 28 countries, RGA provides clients with expert solutions in individual life reinsurance, group reinsurance, health reinsurance, facultative underwriting, product development and financially motivated reinsurance. After more than four decades of growth, RGA has become one of the world’s most highly respected reinsurers, recognized for its expertise in risk assessment and capital management, its ability to develop innovative solutions, and its unwavering commitment to its clients. With offices in more than 50 countries, Aon Benfield is the division within Aon dedicated to reinsurance activities. Aon Benfield is the n°1 global broker in treaty reinsurance and facultative covers, as well as in operations regarding capital markets. It represents 3,000 professionals and more than USD 29 billion of premiums transferred to the reinsurance market for the year 2015. Long-term partnership based on the quality of Aon services and the expertise of its teams. In addition to its trade intermediation excellence, Aon Benfield is an innovative partner for its clients due to its consulting missions that include more and more expertise. Aon Benfield advises insurers and mutual organizations to optimize the management of their own funds. It focuses on the main priorities of its clients, including protection of their balance sheet and their income statement. It contributes to its clients’ risk management through assessment of the risk management framework, modeling the catastrophe exposures. Aon Benfield accompanies its clients through the transition caused by new regulatory environments, especially the Solvency II deadline. Aon Benfield offers a multidisciplinary team (actuaries, financial experts, lawyers) to assist clients in their operations for life reinsurance. The “Life Accident and Health” ‘s team is conducted by Arnaud Chevalier under the responsibility of Catherine Bourland DG Aon Benfield France. Since 1997, the Life Accident and Health department of Aon Benfield is a pioneer and leader in the market of Life Reinsurance. Catastrophic mortality Cover (epidemic, disasters), trends in mortality and longevity Reinsurance optimization under Solvency II. 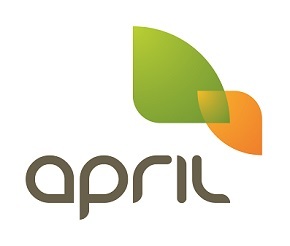 Founded in 1988 by Bruno Rousset, today Chairman and CEO, APRIL is an international insurance services group operating in 33 countries in Europe, North and South America, Asia, Africa, and the Middle East. As the group has built a bold and unique model covering the entire value chain, they have positioned themselves as an atypical actor. Today, APRIL is the leading wholesale broker in France and a reference on the international market. APRIL designs, manages, and distributes specialised insurance and assistance solutions for individuals, professionals, and businesses by providing health and personal protection, property and casualty, mobility, and legal protection, as well as protection and legal services. Today, the group is the only wholesale broker that owns its own risk-bearing structure (with 4 insurance companies and 1 re-insurance company) and one of the few with its own distribution network (APRIL Mon Assurance agencies). The APRIL group has also chosen to make its know-how available to other actors on the insurance market by developing a Key Accounts offer. A specialist approach to each segment, a strong customer-oriented outlook, recognised quality of service, and an ability to innovate are all components of APRIL’s DNA. Driven by a strong entrepreneurial culture, the group has always had a single ambition: shake up the market and change the image of insurance by making it simpler. Externativ is a data science and data management consulting team. We help our clients leveraging their data into business success, by increasing client satisfaction, turnover and profit. Nexialog offers high value added expertise in actuarial services, risk management and market finance to meet our client needs. Our consultants use their skills by helping actuarial, risk and finance division to perform their operational activities. Innovation is a key component of our strategy that we combine to our project management culture in order to assist our clients in achieving their strategic and regulatory projects. With the assistance of our risk management, financial and operational strategy practises, we are able to address complex client issues and needs. We combine our knowledge in integrated offers to provide the best possible team to respond to growing demands. Created in 2001, sinalys is an independent company owned by it’s managers. it is a consulting company and a designer of actuarial webbased ittools, targeted at insurance sector. our expertise covers needs of insurance and social welfare industry for actuarial calculations, inventories and solvency ii. our ambition is to help you to gaining time and enhancing the relevance of your reporting. sinalys acts across the 3 key steps in the data chain to provide simplicity, fluidity, compliance and value-added. Please contact Stéphane Loisel and Sophie Castelbou at eaj2016-sponsors@isfa.fr for more details.